It is that time of year again. The weather turns cool and the leaves are starting to change. This signals my kids that it is time to bake pumpkin bars. This is a favorite recipe that my grandmother used years ago when she was required to bring something for any fall celebration hosted in the church basement. 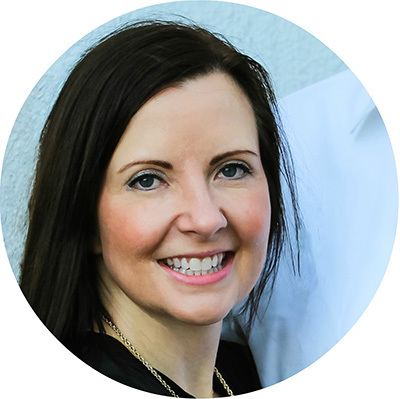 Sometimes it was a gathering to celebrate another successful harvest season or perhaps it offered support for a grieving family. 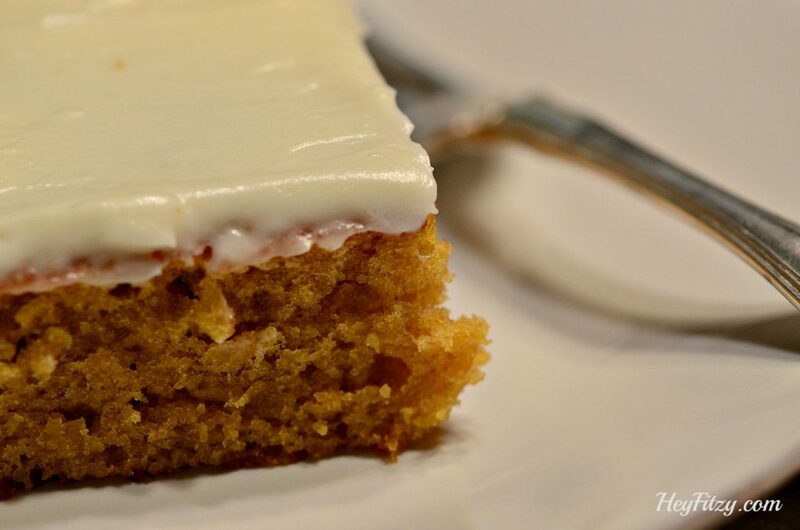 Pumpkin bars were always a hit! This recipe for easy pumpkin bars makes a large cookie sheet full of bars that would go a long way to feed the hungry farmers that gathered. 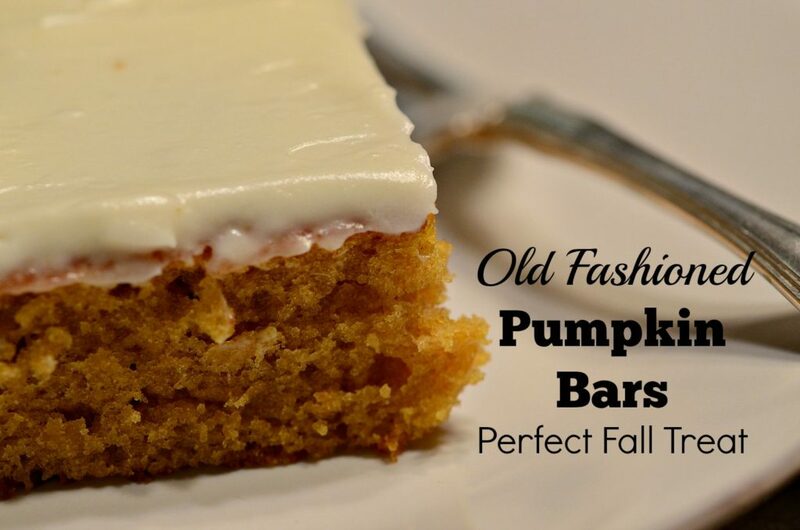 Here is my recipe for old fashioned, easy pumpkin bars. 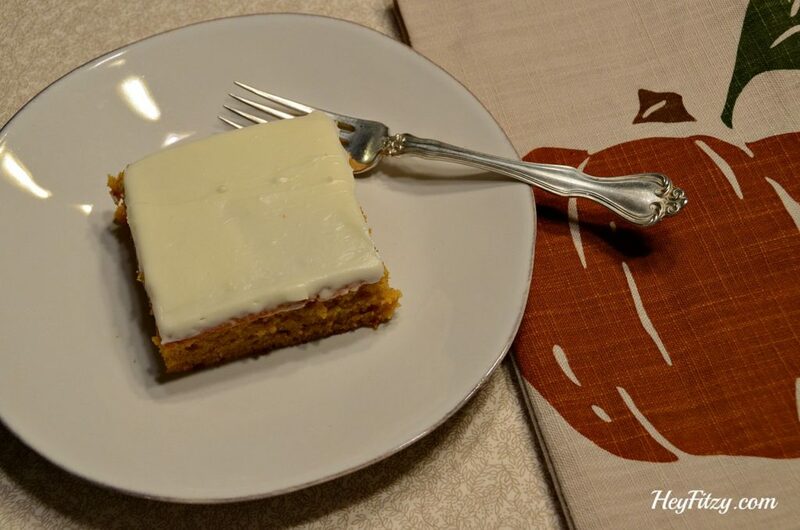 Easy to make pumpkin bars that are always a hit! Generations have enjoyed this popular fall recipe! 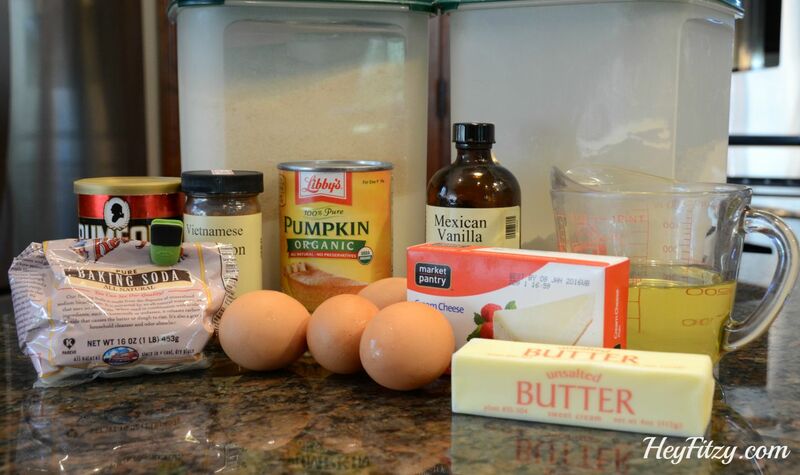 Place all ingredients listed for the pumpkin bars in a large bowl. Pour into a greased cookie sheet with sides. Place all ingredients listed for the frosting in a medium bowl. Make sure the bars have cooled all the way before frosting. 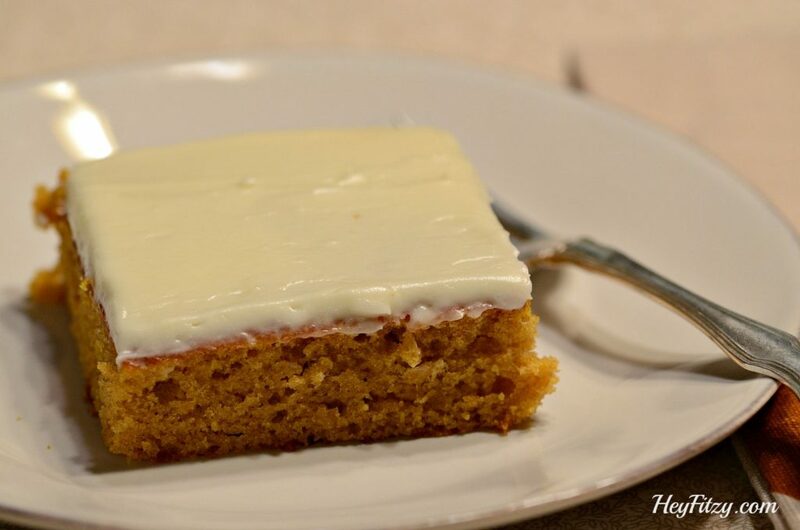 I love this recipe because it provides me an opportunity to share my pumpkin bars with neighbors. The batch is so large it is easy to wrap up a simple plate to share with others. If the truth be told…I have to share…otherwise I might just eat the whole pan! Can you see how large this batch of pumpkin bars is? Don’t let the large size deter you from trying this recipe. It is a great opportunity to wrap up a plate full of bars to share with loved ones next door or down the street. Some of my fondest memories growing up were spending time in the kitchen with my grandmother. For hours we would plan recipes and bake so that we could enjoy the fruits of our labor. I enjoy sharing this time honored recipe with my kids each year. It takes me back to a simpler time when loved ones gathered to celebrate over home cooked treats. It is my way of honoring my grandmothers legacy and carrying on some of the same traditions with my kids.